NOTE: Please be aware that we only have one or two copies of some of these. Many aren't even in print any more. Even if it is listed here it may already be out of stock (we'll try to keep it updated but they may go fast). 120 + Pages, Softbound. Old style photographs. This wonderful book on ‘playing’ with the ball is one of the inspirations for Caylor Adkins book on Structure, Flow, and Maneuver in Martial Arts. Ball play, incidentally, along with the incorporation of other 'hand objects’ such as the Bang, is gaining attention from the martial community as tools to increase martial sensitivity. Ball play comes from a training method that bases practice on free form—sometimes called Wu Chi (universal emptiness) style or even Wu Chi Tai Chi Chuan (combining emptiness and duality). Before you start laughing, be it known that a number of diverse styles such as Tai Chi, Tang Lang, Wu Dang, Choy Li Fut, and others employ the ball, especially, for intermediate to advanced levels. The photos in this book are old but readable, detailing some pretty wild orbits. Figure eights cascade, literally, collapsing into a topologist’s dream world. Historical significance. Here's the link to Caylord Atkins book. Next to Shaolin and WuDang, EMei is a big center of martial diversity. Among its many styles is Lan Shou or Obstacle Hand. This shows a master form with alternating moves breakdown and then application against a partner. The photos are a little light but the poses and straight forward usage are instructive. Some background and principles in text. 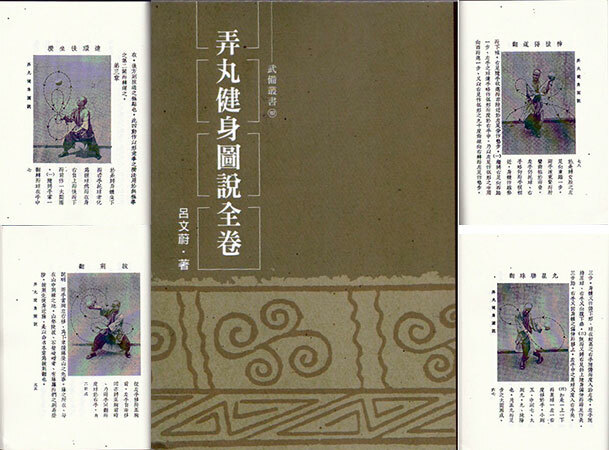 Lan Shou is also rare in being one of the only martial arts that originated in the martial-rich region of TainJin. From there it spread to ShangHai. In another version somewhere around 1652. Obstacle Hand was commemorated at ZhiGu TianFei temple. Lan Shou practitioners also acquitted themselves well in the second World War. Technical methods include tie, collapse, press, shake, cut, stop, poke, hold, tear all attacking the core of the opponent (in some senses the meaning of the name of the style). Leg arts include: withdraw, flash, plug, guide, etc. The last grandmaster of LS was Liu Wan Gu. 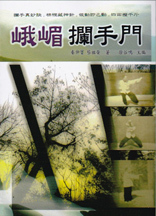 Liu had studied Xing Yi, Bagua, Tai Ji, Tong Bei and Baji. He also learned from his own grandfather, the previous GM of LS. Note: Scott Jensen, now the highest non-Chinese practitioner of LS was also a student Wong JackMan for over twenty years. 156 Pages, Softbound. Two photographs per page. Tian Gang which means Big Dipper, as in the constellation. This is one of the key formations associated with Taoist practice. 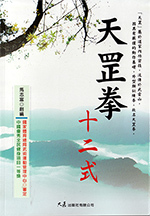 It was developed in the Wu Dang mountains, the great center of Daoist practice. This is a long standing set with many twisting, leaning and rolling movements. It is foundational as a Qigong training to the more martial aspects of the style which are said to be quite rigorous. In previous times this was a closely guarded sect with only a few people learning and not “six pairs of ears” hearing the teaching each generation. 137 Pages, Softbound. Old photographs. 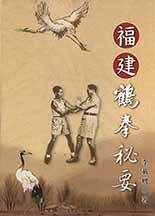 This is a classic reprint showing one of the earliest and most famous of all books dealing with Crane boxing. Though written and photographed in the early part of the 20th century it stands up for a number of reasons. All the photographs are full pages. Postures are shown beautifully with a few posed pictures of Crane styles weapons, staff, trident and Kuan Dao. Even Sifu’s short pants have come back into fashion, sort of. It is said that during the war Li killed a number of Japanese soliders with his art and had to flee to a secure place under the safety of other martial artists. White Crane Boxing form is demonstrated as well as some applications and the Crane equivalent of Sticky Hands. The real thing and a nice collector's piece. 114 pages, Softbound, Photographs and line drawings. The illustrations in this book are charming and slightly funky (see scan by clicking picture left). This starts out with a slew of pictures by famous and lesser known teachers. It then shows a "hidden sect" sword with single page illustrations that alone are almost worth the price of the book. This health regimen is very simple and has the following characteristics: the Chi is manifested quickly because the outward movements of the crane make for an easy and immediate practice. The actions are relaxed and soft. The spirit is high and healthy. Not difficult. Traditional Chi Kung exercises of the Shaolin system. The text refers to the I Chin Ching famously associated with Dat Mo and the origins of the Shaolin Temple. The 70 pictures, despite their age, are clear with about three to a page. 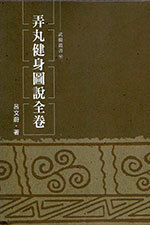 The printing is excellent traditional type style. This is the famous father of Jeanie and Lily Lau, Lau Fat Mang (in Cantonese). Here he demonstrates an elegant Eagle Claw Long Fist form with much of the Fan Zi (Tumbling Style) movements that were blended with Yuan Fei's Eagle Claw to make the style. This book has gone through many editions an is a classic in many martial libraries. The pictures are old and a little light but everything is there. Lau himself was a highly respected martial artist who, among other things, headed the Ching Wu Association and instructed the Dai Dao (Big Knife) brigade during their fights with the Japanese army. Limited supply.